During a set in his Drake VS Lil Wayne concert series, Drake accidentally made comments that prompted the NBA to fine the Toronto Raptors. Oops. Did he do that? 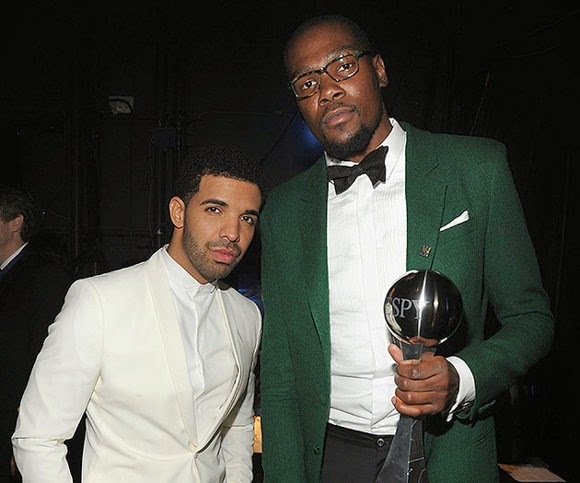 While performing in his hometown Toronto, Drake gave a shout out to NBA MVP Kevin Durant who was in the audience: “You know, my brother Kevin Durant was kind enough to come to the show tonight and watch us. I just want him to see what would happen if he came to play in Toronto. Let him know what would happen.” The crowd chanted in response. The NBA league deemed his statement a public recruitment pitch. ESPN reports Durant will become a free agent come summer 2016. Teams like the New York Knicks, Brooklyn Nets, LA Lakers and his home state team, the Washington Wizards, are vying to snag Durant with salaries that will out match each other. Drake, who has served as the Toronto Raptors’ global ambassador since 2013, violated the NBA’s anti-tampering rules. Therefore, he landed the Raptors a fine of $25,000. Below is a video of the incident occurring. Hopefully Drake’s innocent shout out will be a lesson to fellow team ambassadors.